The New Year is just days away, and with i’s arrival comes the time to make your annual New Year’s resolution. Choosing a resolution, or goal to achieve within the coming year is the easy part, all good intentions aside keeping and fulfilling it can be much more difficult. According to research conducted by Proactive Change 40%- 45% of Americans will make one or more resolutions this year. This same data also indicates that only 75% of those Americans will still be sticking to succeeding in their goal past the first week, and after 6 months only 46% will still be on track. Making a New Year’s resolution is one thing, but sticking to it to reach your inspired goal is quite another. I believe that this is due in part to the fact that most resolutions we set are too difficult, this year why not make a resolution that is easily accessible? Resolving to make your home and landscape a safer, more secure and beautiful place to live is a great resolution and is easy with the addition of outdoor lighting. 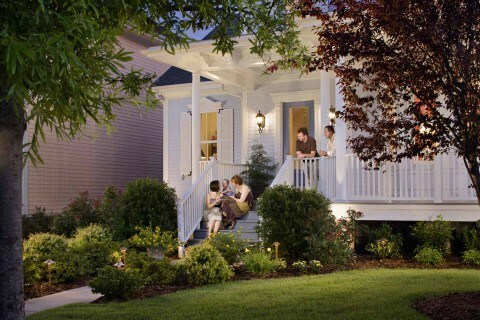 Outdoor lighting adds many benefits to your home. 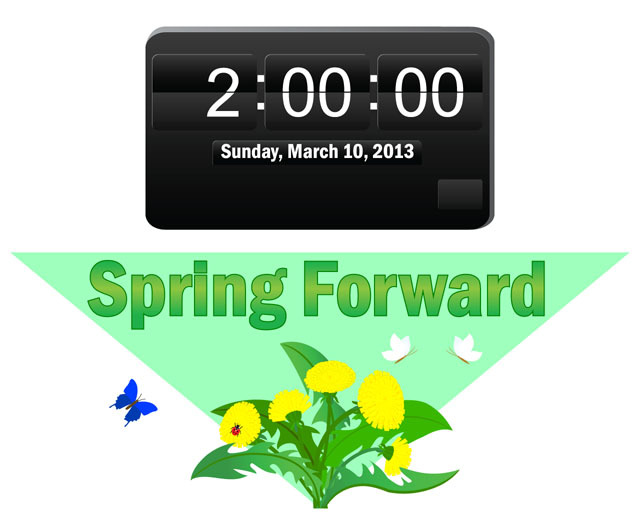 From strengthening your homes curb appeal to thwarting off would-be burglars. 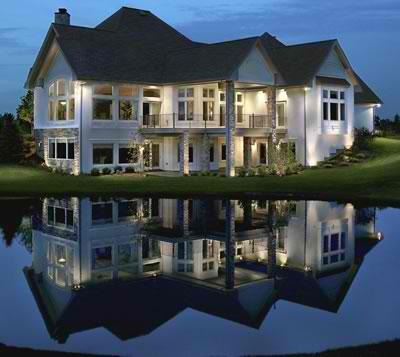 A home and landscape that is charming by day will become dazzling in the evening by adding outdoor lighting. 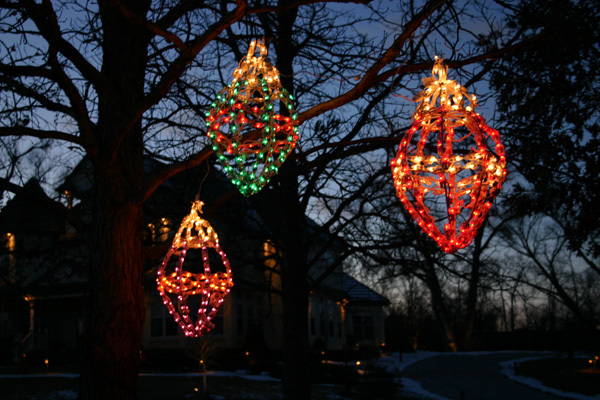 Here is just a few of the reasons to make outdoor lighting the one New Year’s resolution that is easy to keep. This home is bright and beautiful thanks to outdoor lighting. 1) An end to coming home each night to a dark house – this alone is reason enough to install professional outdoor lighting at your home. Dark and dimly lit areas around your home and within your landscape leave you open to unsavory activity. In the evening, darkness and fear of the unknown go hand-in-hand. If security is a concern outdoor lighting is critical. Having ample lighting around doorways, rear entrances of the home, garages and carports can help create a secure environment when entering your home and leaving. This security can be taken even a step further by adding LCA, (Lighting Control Animation), which can ensure your lights will be on whenever you need them. 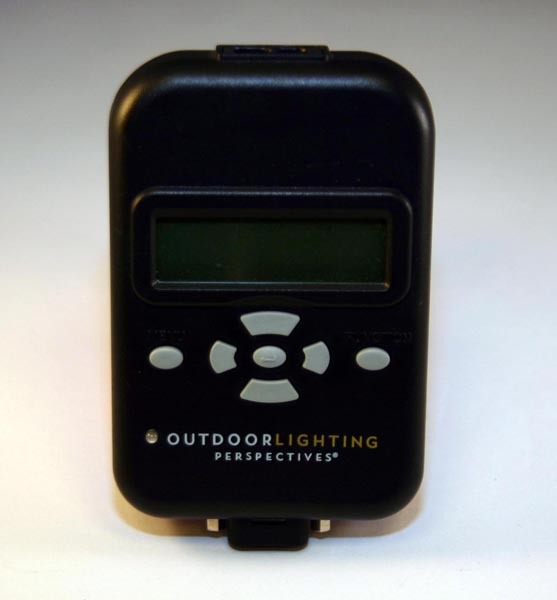 This convenient automation even allows you to control your outdoor lighting from remote locations. A well-lit deck or patio will enable you to use your outdoor space long after the sun sets. 2) Being able to entertain outdoors past sundown – have you ever had a summer barbecue on your deck or patio and just when the party gets rolling you have to cut it short because of the lack of light? 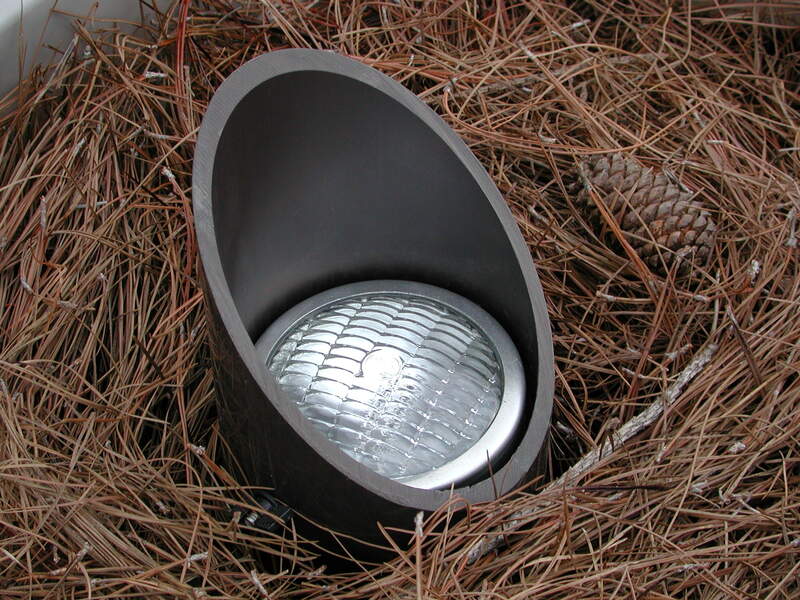 By adding outdoor lighting in and around your outdoor spaces, this will never have to happen again. You can entertain into the wee hours if you wish with no worry of interrupting the treasured memories you will be creating with family and friends. Path and landscape lighting aids in more secure travel when venturing outdoors in the evening. 3) Your kids won’t have to run from imaginary monsters anymore – Admit it, even as an adult your imagination wanders when you are forced to venture outdoors in the dark. Professionally installed landscape and path lighting will put an end to the creepy feeling that can overcome you when you venture to areas within your landscape at night. From getting the forgotten bike out of the driveway, to retrieving the expensive iPod that was left next to the kids swing set, you will feel more aware and more secure of your surroundings with outdoor lighting. Outdoor lighting makes this home’s entrance inviting and memorable. 4) A great way to make a lasting first impression – the first place to begin creating a warm and welcoming entrance to your home is with outdoor lighting. Path lighting in particular gently illuminates the path to your front door in an effective way to create ambiance and set the mood for things to come. Architectural and facade lighting that makes your homes most beautiful features come to life will lead the eye to drink in the unique characteristics of your home too. When guests remember visiting your home for the first time, a lasting impression of beauty and a welcoming atmosphere will enter their minds when you have professional outdoor lighting. 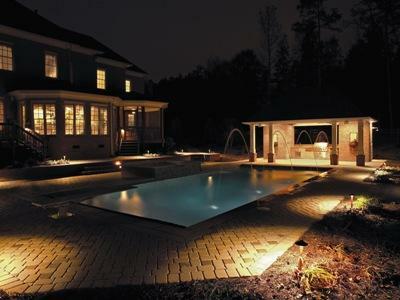 Outdoor lighting brings forgotten areas of your landscape to life. 5) Fall in love with your home and landscape all over again – seeing your home and landscape in a whole new way, with the right outdoor lighting can make you fall in love with your home and landscape over and over again for years to come. One wonderful aspect of having outdoor lighting and especially landscape lighting, is the beauty of seeing your surroundings change with the seasons. From the gold and amber hues of autumn, to the greens and blooming buds of spring and summer, your home and yard will transform into something new and beautiful with the arrival of each season. 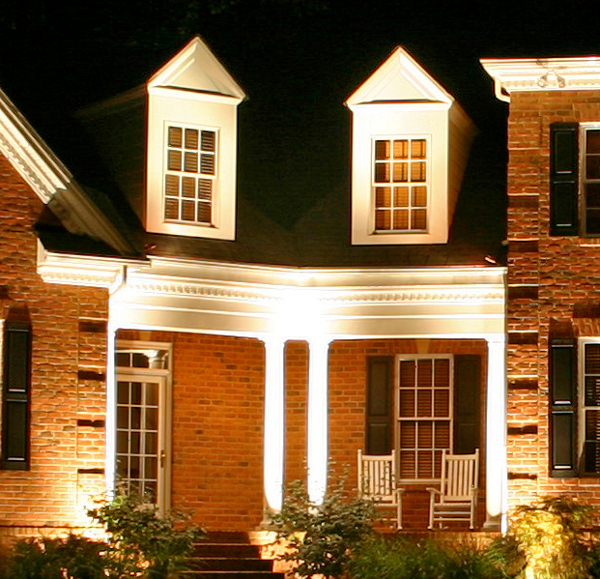 Professional landscape lighting can create evening vignettes of beauty in your landscape. 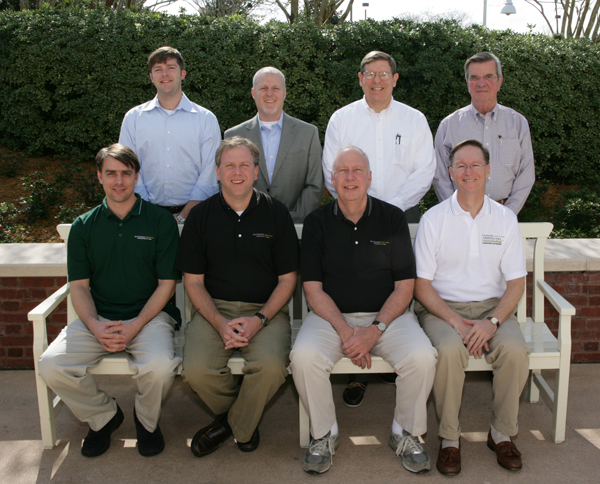 From our families to yours, we would also like to wish you a safe, healthy and prosperous New Year! See shining examples of the benefits of professional outdoor lighting by visiting our landscape and garden lighting gallery and our architectural lighting gallery, both located on our website. This large evergreen is lit with all white LED lights and a bundle of lighted presents sits beneath its branches beckoning Santa’s arrival. When you think about all the parts of what make a holiday lighting display memorable the beautifully lit trees are what comes to most of our minds. 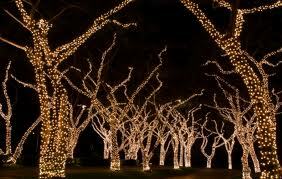 There is simply something magical about adding light to a tree in any genre of outdoor lighting. It is like the tree comes to life under the glow of the lights. Each tree in your landscape has a specific personality. This is conveyed through the form of the tree, from its height, width and the manner in which the branches extrude. 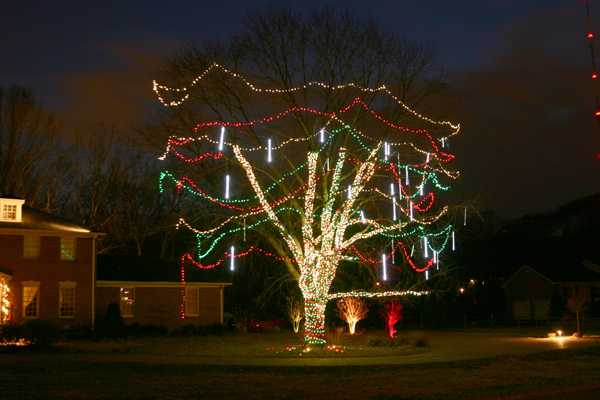 Our job as outdoor lighting professionals is to determine which type of lighting will best fit the personality of each tree and bring out the beauty and presence that makes a lighted tree a joy to behold. We use a variety of fixtures, angles, techniques and effects to achieve this when the tree is part of a landscape lighting installation. We also use a varied scope of holiday lighting elements to achieve the same thing when we light the tree as part of a holiday outdoor lighting display as well. Wrapping the branches and limbs of trees that have since lost their foliage in the fall creates a hauntingly beautiful effect. Remember that trimming the holiday tree does not have to end with your indoor tree(s). There is nothing more gracious or charming than driving up the lane of a residence which is lined with evergreens lit for the season, or seeing that one magnificent majestic cedar all aglow in the front yard of your home. 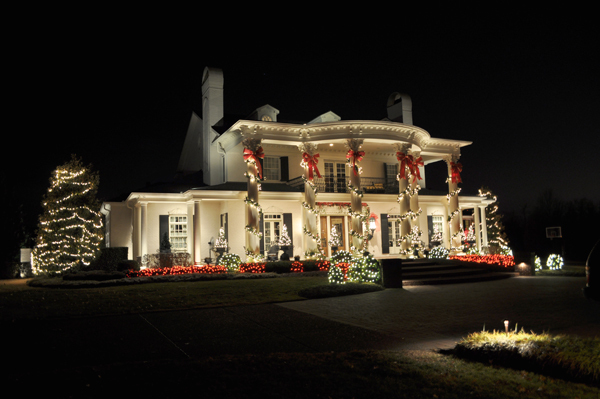 To give you a little taste of the enchantment you can create in your landscape this season, here is a look into the beautiful world of Nashville holiday tree lighting for the outside of your home. This elegant trio of conifers welcomes you as you enter the property of this home. This look was achieved by selecting a trio of evergreens within the homeowner’s landscape and wrapping the trees with white LED strands. We furthered the effect by placing staked lighted LED starbursts around the base of the trees which also complements the rustic rock border along the property line. 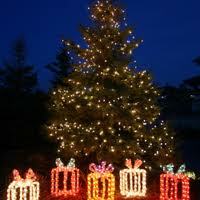 Don’t have the perfect specimen in your landscape that would benefit from holiday tree lighting? Outdoor Perspectives of Nashville is the master of illusion; we can create the perfect specimen with special lighting techniques. 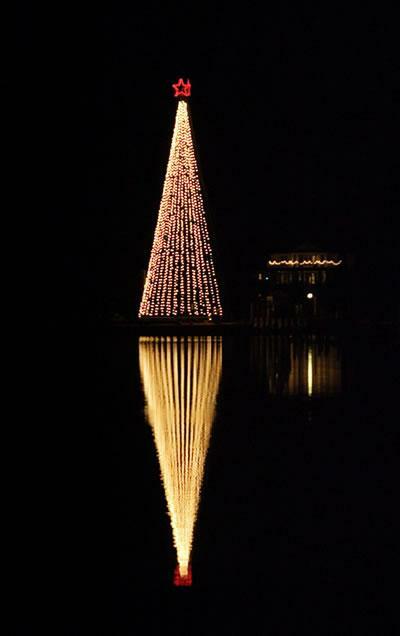 This man-made Christmas tree sits in the center of the pond located on the property of this home. We simulated the shape of a tree with lighting. What makes this so dramatic is the way the lights reflect off the water for a magical illusion like no other. 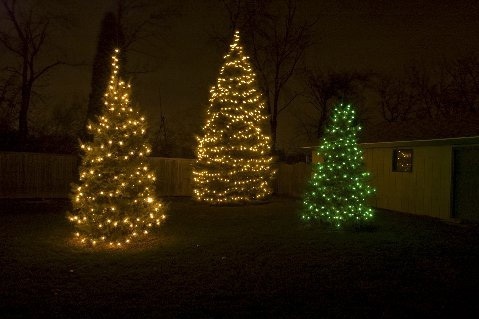 This trio of lighted evergreens gives new meaning to the beloved Christmas song “We three kings”. This otherwise overlooked portion of the yard is brought to life for the season under the hypnotic spell of Christmas lighting. 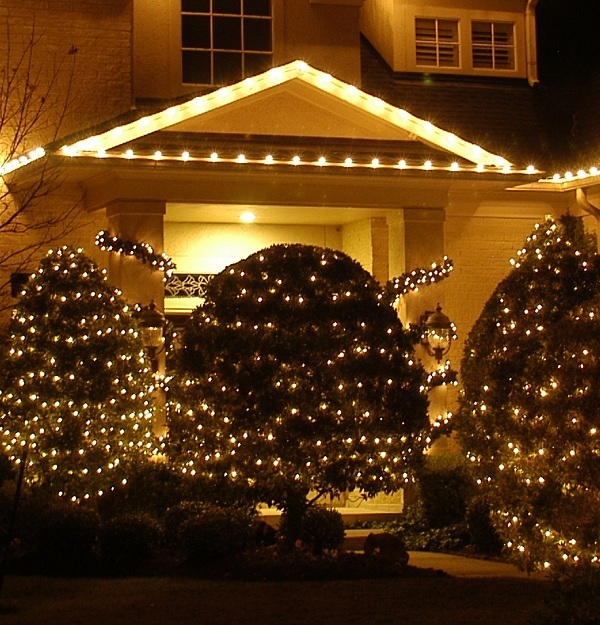 Sometimes the most common areas in your landscape can become the focus of a professional holiday lighting design. Holiday icons, unique shapes and colored lights can become the focus of holiday tree lighting. Here we carefully hung lighted LED oversized Christmas ornaments from the branches of this tree. The result is pure enchantment. 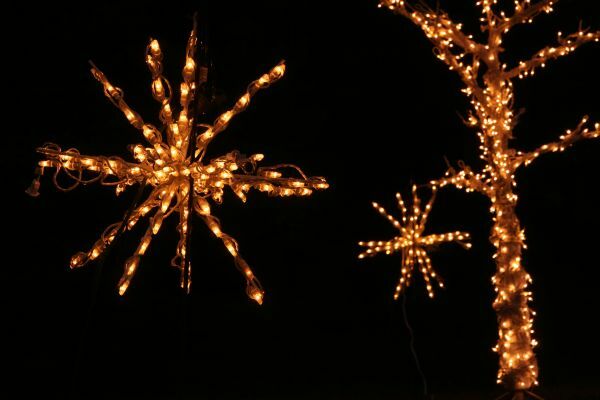 When you wish upon a star, that star may become the highlight of your holiday lighting design. We carefully wrapped the trunk of this tree with white LED lights, and to add a touch of magic we hung lighted LED starbursts from the branches. The combination looks elegant used together and makes onlookers stop and wish their holiday lighting was this imaginative and unique! The mature evergreen bushes that line the entry to this stunning home are large enough to serve as trees. 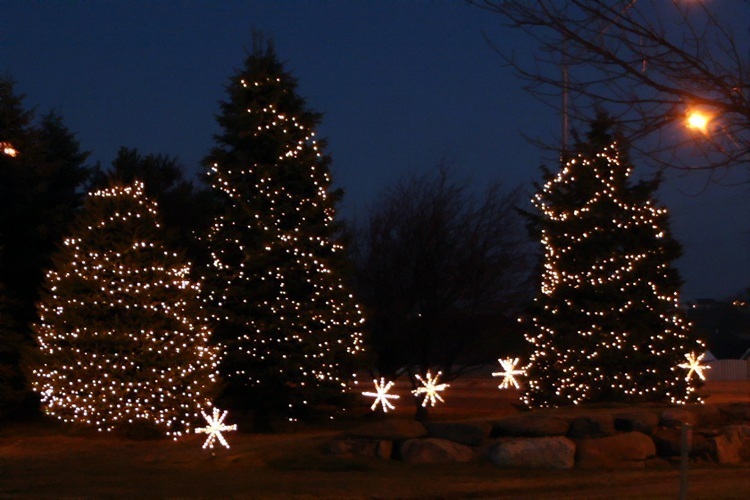 Their height, width and form lend themselves as the perfect candidate for tree lighting. This ingenious design proves that we can come up with unique solutions and techniques to add holiday tree lighting, even if you lack trees in your landscape. We can also bring your outdoor Christmas tree to life by synchronizing your favorite holiday music in time with dancing lights, as seen in this video….. If you still yearn to see for more holiday tree magic, visit our holiday lighting gallery located on our website. That’s right. 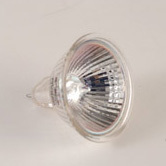 Subscribe to our blog between 3/25/12 and 7/03/12 and you will automatically be entered into the drawing to win a 7-light LED custom LED outdoor lighting package from us. The lighting package includes 7 all LED outdoor lighting fixtures and a custom outdoor lighting design for your home, installation and lighting control automation. 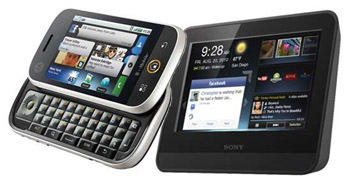 All blog subscribers in our database by 11:59 PM on 7/03/12 will be entered to win. 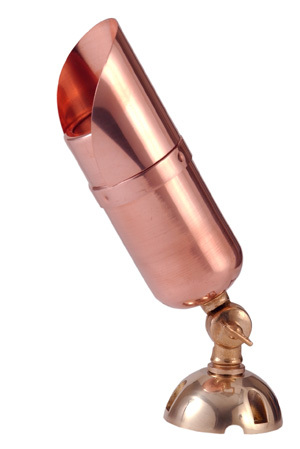 Don’t miss out on this special opportunity to win this top quality outdoor lighting package. 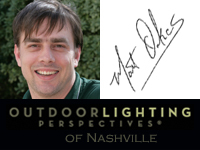 Not only will you be entered by subscribing to our blog, you will also learn interesting and informative tidbits on the latest in outdoor lighting design. The system is valued at $2,500, and the lucky winner could be you.